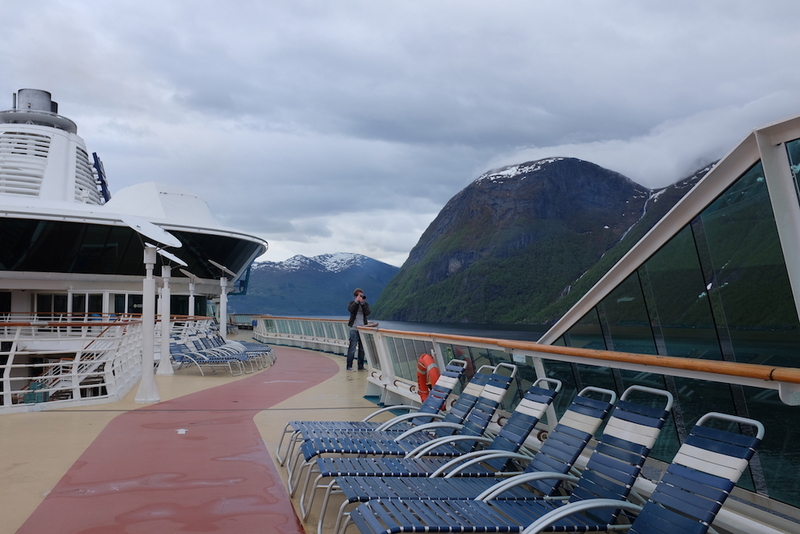 To cruise through the Norwegian fjords has always been a dream, but never did I imagine that I would fall in love with cruising as much as I did. Given that this was my first one ever, there are a few things I wish I knew to expect that I’ll sharing here. 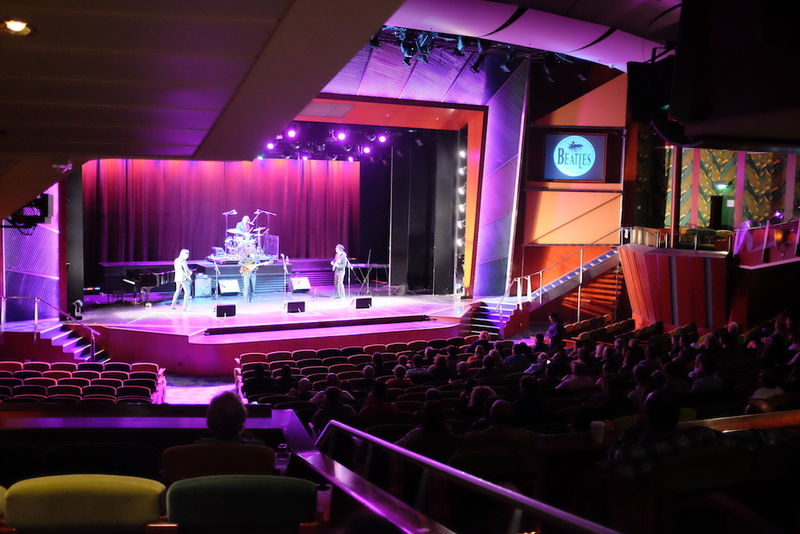 Note: Since our first cruise was with Royal Caribbean, the details herein will focus mainly on RC; though I think a lot of the things enlisted here should be applicable to other cruise lines as well. Let’s start off with the first thing you’ll notice upon arriving in your cruise terminal: security is tight. Similar to the security executed in airports, you drop-off your luggage at a counter, which will go through an x-ray inspection, while your carry-on belongings will go through the same before passing through immigration-like counters, where you check-in for your cruise. The same goes for when you exit and re-enter the ship on days you’ll be docked, which made me all the more comfortable with the securities of cruising. Think of it this way: your luggage will be handled the same way it would be handled in any five-star resort. They take your bags upon check-in and deliver it to your rooms about four or five hours prior to the ship’s scheduled departure. The same goes for checking-out, your stateroom attendant will give you luggage tags two days before your cruise ends with a schedule matching the number on your assigned luggage tag. You’ll have to leave your luggage in the hallway the night before, so be sure you have an overnight bag; you’ll see your luggage again in the cruise terminal after docking. If your assigned schedule does not fit with your travel plans, you can opt to carry your own luggage during arrival day, which we did and had no problems whatsoever. 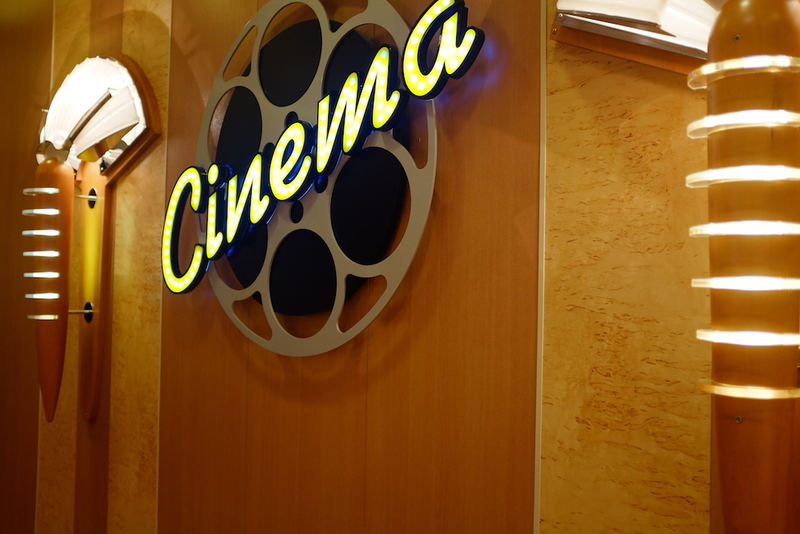 This might be the most important thing about the cruise that we previously had no idea about. Food is free 24/7! I don’t know how else to expound on this, but yes: food is free anytime, so you won’t have to worry about spending extra on food, even for in-room dining (though there is a small fixed fee you’ll have to pay for delivery / service charge). That aside, food is free! Truly, this is one of the best things about cruising. It’s important to note that all Royal Caribbean ships also have specialty restaurants that you could dine in at a premium; we’ve only tried this once, as we’ve always been happy with the complimentary food offered in the buffet & sit-down restaurants of the ships we’ve been in, as well as the all-day cafe by the pool. 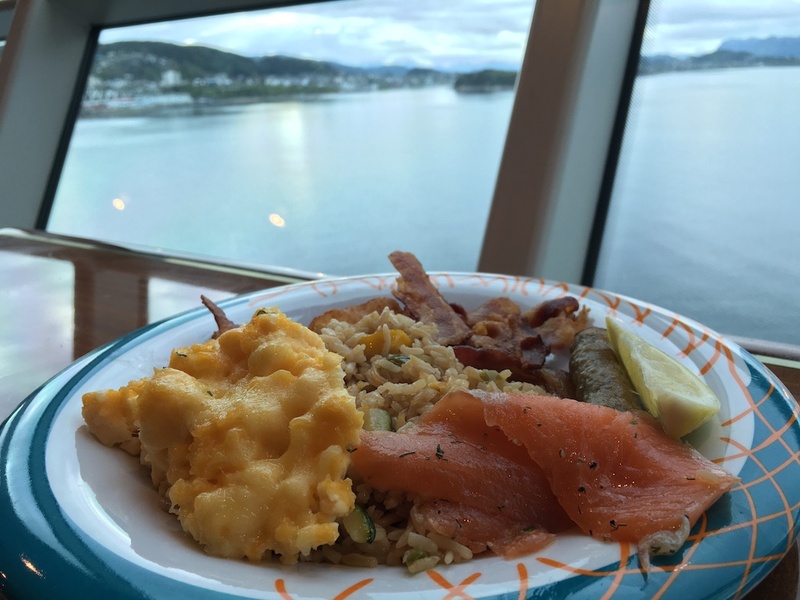 The first thing that came to mind when we realized food was free after having our first meal on board and realizing that there was no check coming at the end of the meal was: how in the world do these cruise lines earn?! The price we paid for the cruise itself wasn’t much, to be honest, so since food is one of the biggest profit-yielding businesses, we had no idea where else these cruise lines get their profit. Then we saw the list of alcohols, sodas, bottled water (Evian), etc. offered on board… and we knew where the profit was coming from. Expect to pay double or even more for a beverage that’s not complimentary. Alcohol is not free, but note that there are complimentary juices, teas, coffee, and even water that could sustain you throughout the trip if there isn’t a budget for alcohol. This is another way cruise lines earn: shore excursions. 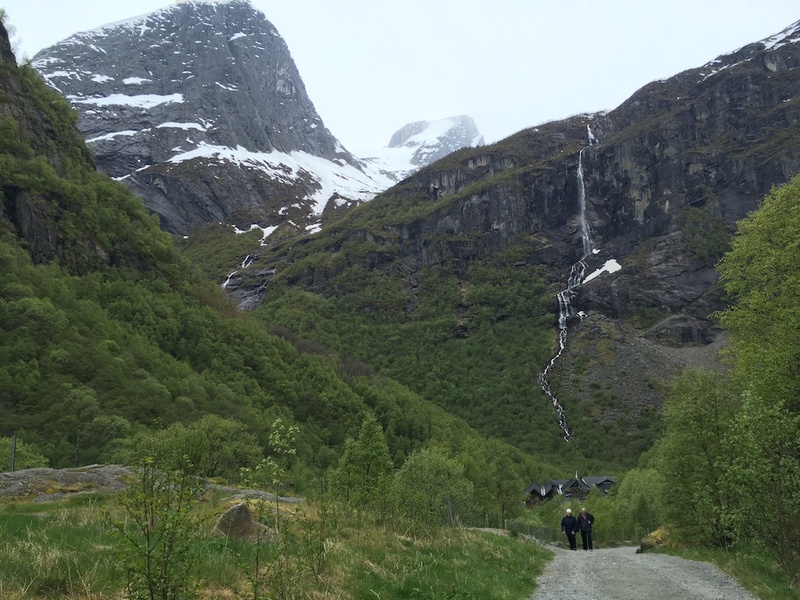 Though shore excursions can get a bit pricey, let me tell you that it is, more often than not, worth every cent. 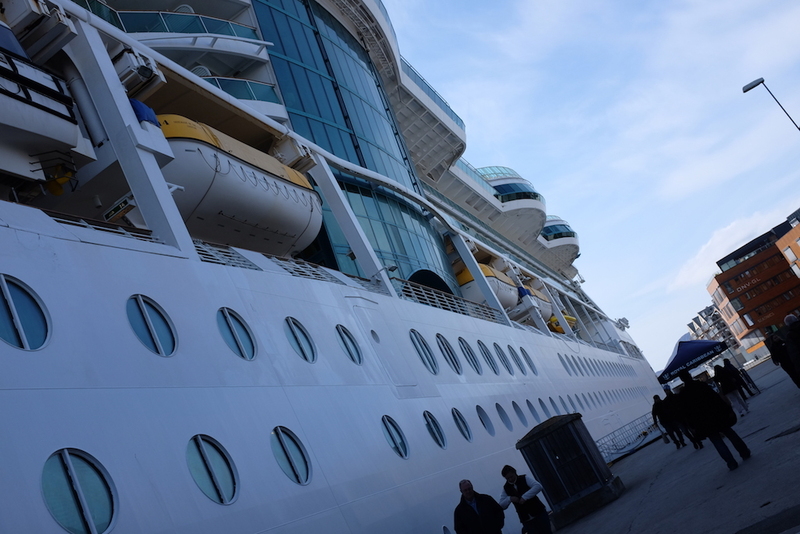 There’s a shore excursion desk on every Royal Caribbean ship, so if you’re not sure about what excursions to book just yet, then you can wait until you get on board. Another tip: shore excursions usually go on sale online about 2-3 months before your sailing date, so if you don’t have one yet, create a Royal Caribbean account and add your cruise reservation to it, then wait until your chosen shore excursions go on sale before making any bookings! I’ll get straight to the point: Internet onboard is outrageous and this time – not worth it! Unless you’re spending more than 4 days cruising, I suggest that you do not get the internet package. It’s incredibly slow and unreliable, and if you only have 1-4 cruising days, it’s better to make the most out of your time on the ship, disconnected from the rest of the world. 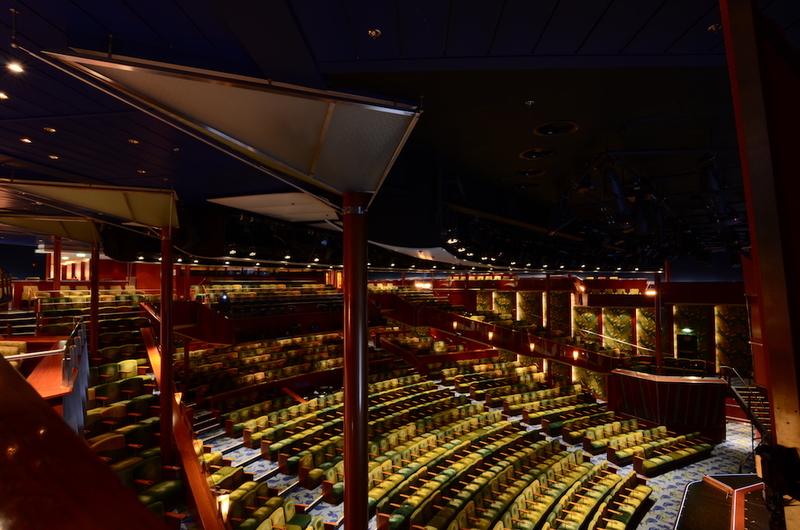 Besides there’s internet everywhere else, but when else will you be on an architectural beauty and an entertainment hub in one: your Royal Caribbean Cruise Ship? 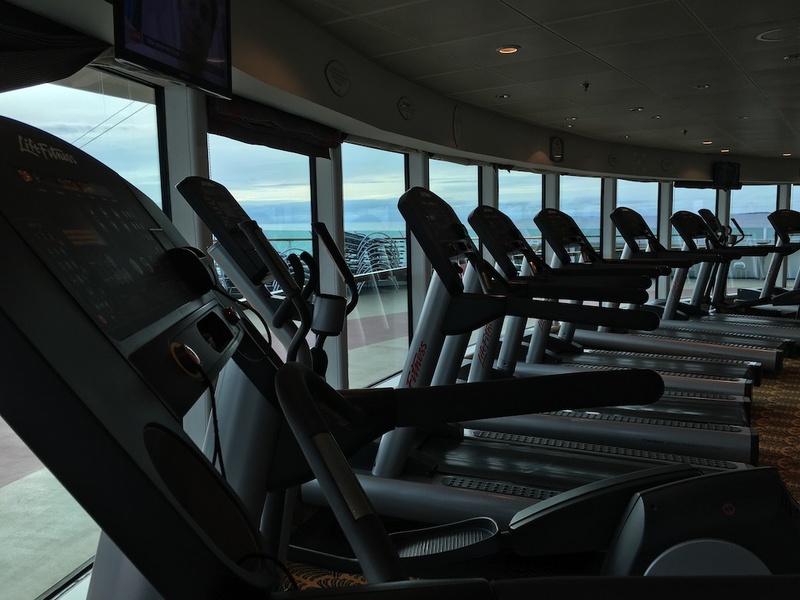 Compensating for the slow/unreliable and incredibly pricey internet are the complimentary entertainment options that you’ll find on the ship: from the cinema to the gym, a jogging track, theatre performances, indoor & outdoor pools, group activities & musical performances in the atrium, and so on. 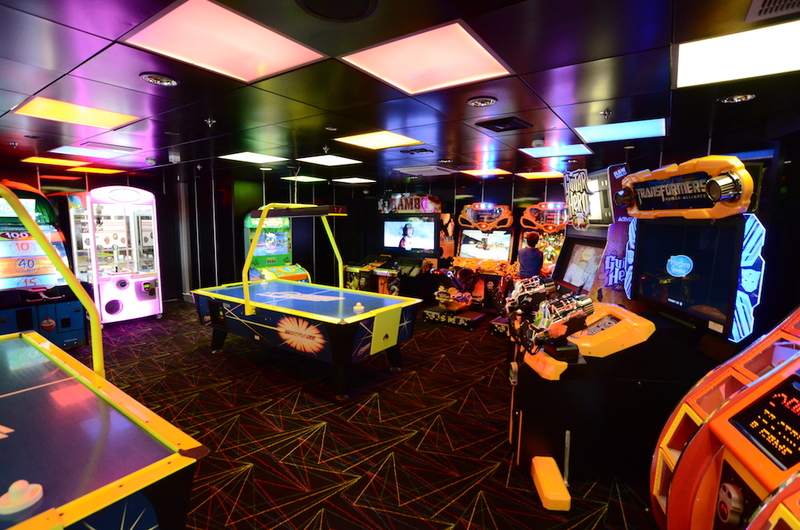 There’s just so much to do on board that’ll keep you busy and entertained. 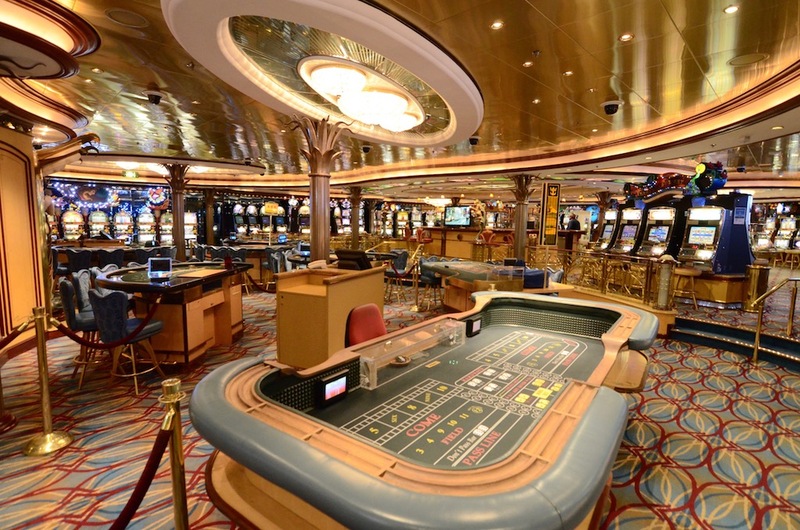 There’s also an arcade and a casino on all of Royal Caribbean’s ship, if I’m not mistaken, but this is falls under entertainment at a price. There is also shopping on board, offering duty free products that are worth a look, such as souvenirs, watches & jewelry, make-up, perfumes, and so on. 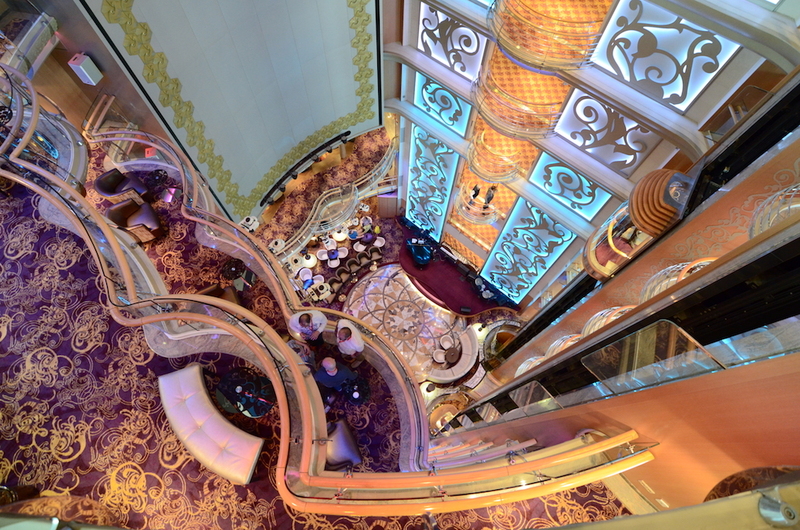 Watch out for sales during the cruise that offer real good deals. An automatic gratuity will be added on your account on a daily basis. The fee is US$13.50 per person per day for all room-types (except suite guests, whose rate is US$16.50 per guest per day). So depending on the length of your tour, it can go up to a few hundred bucks. I always opt to pay for this before the cruise instead of having to worry about it during. In addition to this, all Spa & Salon services are charged an 18% gratuity, while 15% is charged for mini bar items and bar service beverages, when you order a bottle of wine, cocktails, or the like. 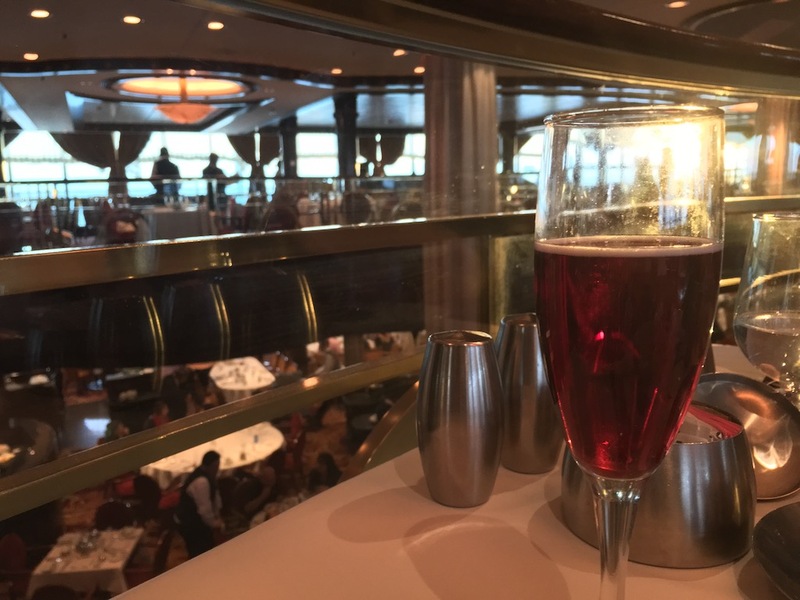 The service is definitely one of the best I’ve experienced – save for one or two bad experiences I’ve had with the Shore Excursions & Next Cruise desks, but that aside… all in all, the service is absolutely great! And this is why I could never understand how some people would choose to take away a portion of the earnings the crew should be getting. Given the impeccable service we usually receive, we make it a point to even give extra to our stateroom attendant & dining room servers on our last night of cruising. So I strongly suggest to those who are planning to go on a cruise: do not skimp out on the gratuities, as you’ll see when you’re on board that most of the crew surely deserves it. In summary, though cruising may have a few cons, which I haven’t completely covered here – same goes with the pros, the advantages surely outweigh them; and if it isn’t obvious from my previous posts, I have fallen in love with cruising despite its very few disadvantages. The list herein, however, just covers the things I wish I knew and things that could maybe help future first-time cruisers.